Stoddart proudly offers stainless steel kitchen cabinets with nearly 60 years of unparalleled expertise in quality metal fabrication. The Australian-owned and operated company has made food service applications their specialty, developing an extensive range of solutions for both commercial and residential projects. Through engineering excellence, Stoddart has carried out successful ventures to other business units. Today, Stoddart is recognised as a national leader in the architecture, construction and foodservice industries. As their catalogue continues to expand, Stoddart continues to be largely depended on for high-performance kitchen solutions. For stainless steel kitchen cabinets, the Simply Stainless range from Stoddart is the ultimate choice. 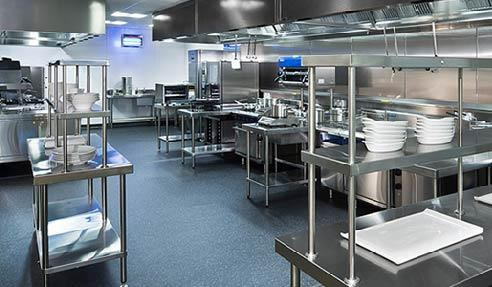 Stoddart has been the exclusive supplier for Simply Stainless since the early 2000s. Simply Stainless is the leading provider of modular stainless steel units in the world. The Queensland-based company's trade includes stainless steel sinks, tables, benches and shelving for a wide variety of applications, including restaurant kitchens, commercial laundries, and veterinary and pharmaceutical operations. 1. 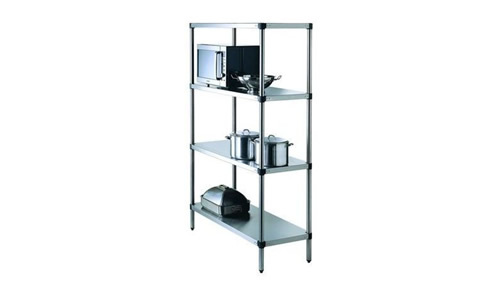 SS17 Adjustable 4 Tier Shelving - SS17 is available in widths of 900mm, 1200mm and 1500mm. The stainless steel shelves and legs are 1.2mm thick, with cast aluminium corners and disk feet, respectively. SS17 measures 38mm in diameter and 1800mm in height. Stoddart can supply SS17 as standard or sloped defrost shelving. It is supplied flat packed ready for assembly. 2. 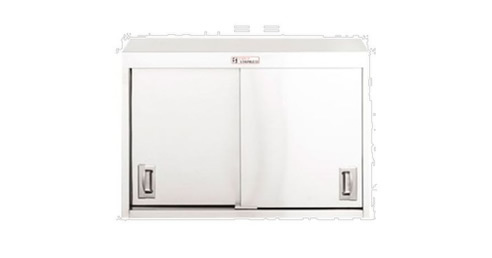 SS29.0900 Wall Cupboard - SS29.0900 includes a stainless steel mid shelf, sliding stainless doors, and a unique key-operated lock on each door. The unit measurement is 900mm x 380mm in 1.2mm thick stainless steel. Stoddart supplies SS29.0900 as a fully assembled unit. 3. SS35 Gastronorm Dish Cassette - SS35 consists of six channel runners on each side. 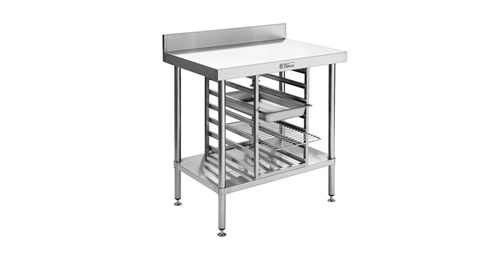 The unit suits 1/1 Gastronorm pans 65mm deep. It can be fitted to the bottom of a bench via studs. The dimensions of SS35 is 330 x 525 x 630mm. Stoddart supplies SS35 flat packed ready for assembly. All standard stainless steel products by Simply Stainless are backed with a lifetime warranty. Simply Stainless aims to provide Quality, Availability and Value (QAV) into their comprehensive catalogue. The material and parts used in the manufacturing process are guaranteed of top quality, while the modular system ensures the value and availability of stock. The production team at Simply Stainless regards consistency in construction as a top priority, along with employing a rigorous quality checking system before the items are released for distribution. Contact Stoddart for more details on stainless steel kitchen cabinets. Visit www.stoddart.com.au today.